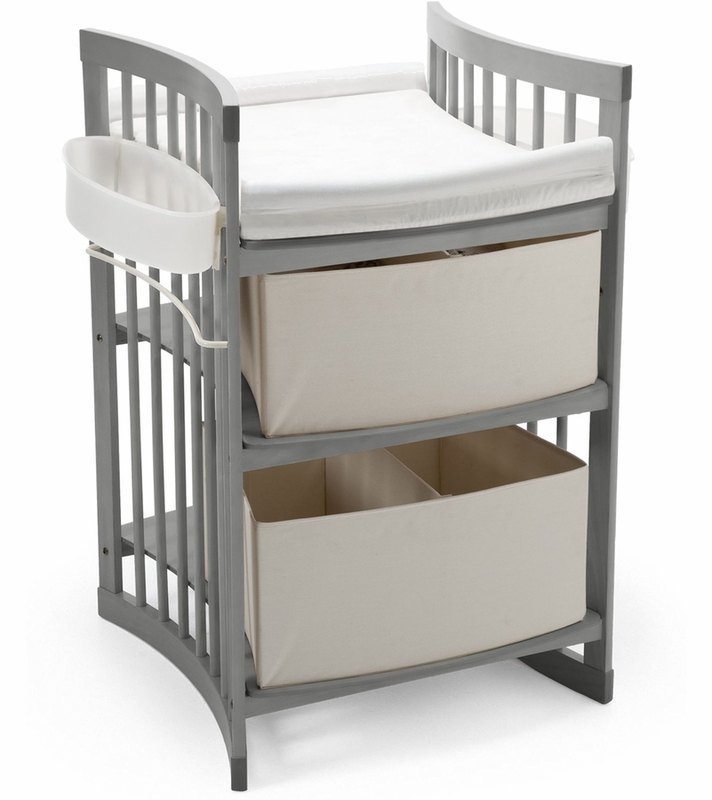 Stokke� Care� is a changing table that makes diaper changes enjoyable and intimate. The changing table raises your baby higher, encouraging eye-contact. Space underneath provides room for your feet, allowing you to stand closer for better reach. Best of all, Stokke� Care� has been designed so that your baby can lie facing you rather than sideways. 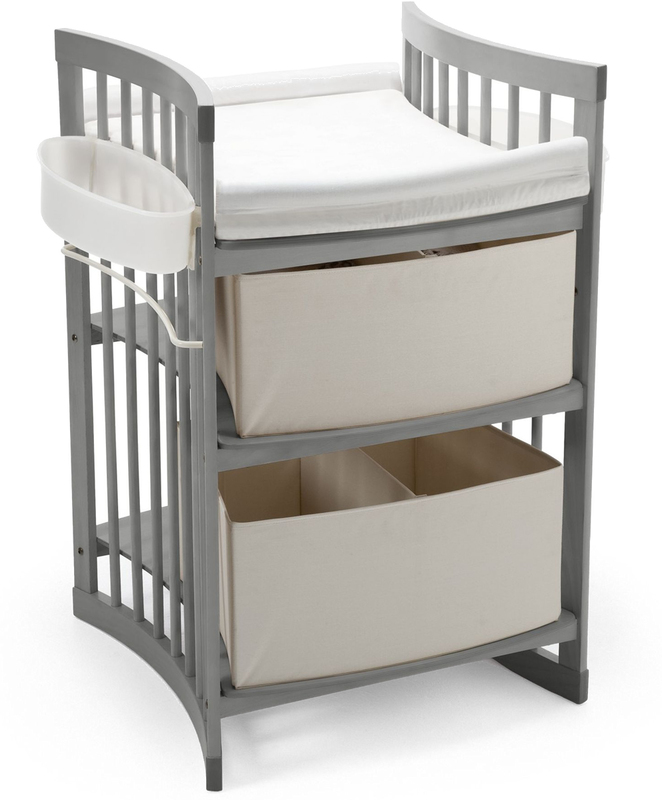 This allows you to face your baby for play and interaction while making diaper changes far easier. Easy-to-clean, anti-slip changing mat (height 1.2�). Bought two of these over 4 kids. Great value, well built. Had one in primary bedroom and another in the family. Well thought out. Nice height used as changing table up until kids were about 1.5 years old. Large enough that we got plenty of use out of it. I assembled myself and took me like 10 min. Very good quality of material. de Stokke care is de ideale plek om je kleintje te verschonen. Zker voor de wat langere mensen, ideaal en een aanrader! Article tr�¨s fonctionnel et tr�¨s joli. Je recommande. Article trs fonctionnel et trs joli. Je recommande. de Stokke care is de ideale plek om je kleintje te verschonen. Z�©ker voor de wat langere mensen, ideaal en een aanrader! I was given this diaper changing station as a gift for my baby shower, the baby isn't here yet so we aren't sure if it is good/functional. What I do know is it was easy for me to put together at 8 months pregnant and is a beautiful piece of furniture. I love that it has a design where I can convert it into a desk later and pretty easily so that this is a piece my child will be able to have for the rest of their life. I love the design. I can't wait to use it! I love Stokke, such great quality and interesting designs. I love that my baby and I can face each other this is better for eye contact and communicating as well as for the actual changing! As he is now older and more wriggly, I also find that the side support rails and baskets help keep him in place. He likes to grab things from the baskets which helps keep him entertained to finish the change. I also love the richness of the walnut wood, I have the crib too and get lots of compliments on both from visitors. My wife and I are really happy with it. I wouldn't change it for anything else, but maybe if it had wheels with locks, it would be perfect. It has enough storage for all baby supplies and more.